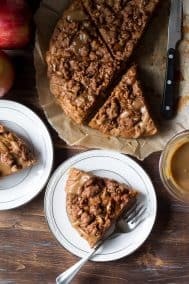 This gorgeous salted caramel apple tart is an irresistible fall dessert and easier than you think! 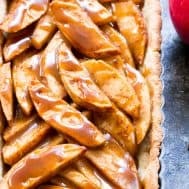 It begins with a buttery grain free pastry crust filled with juicy apples and topped with an easy dairy free salted caramel sauce. Gluten free, grain free, dairy-free option, paleo, and family approved! 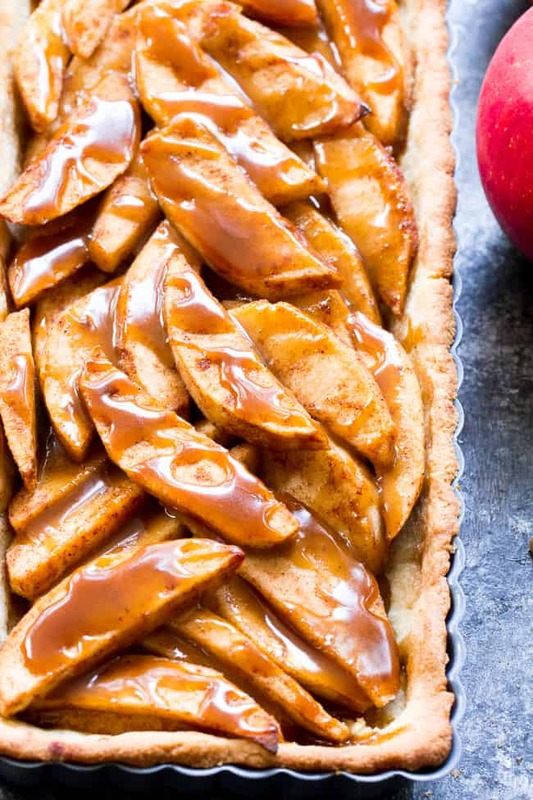 Yes – I’m guilty of bombarding you all with Thanksgiving/fall themed desserts this week. 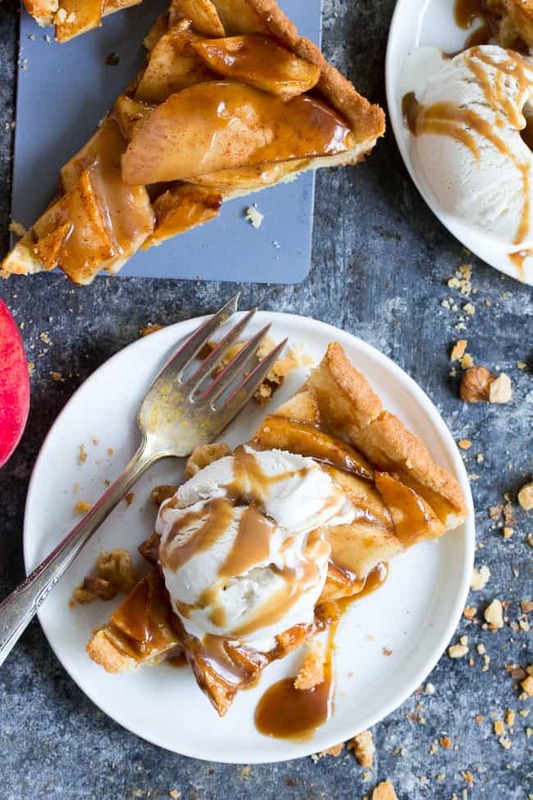 First I threw a (classic, delicious, and paleo) pumpkin pie in your face (whipped cream and all), and now it’s a wildly seductive salted caramel apple tart (a la mode). Also paleo. Does that make it better? Apologies in advance for what’s to come tomorrow – a paleo and vegan pumpkin chocolate cheesecake. Are you hating me yet? Isn’t it enough that I may or may not have gained 5 lbs (or more) over the past two weeks testing (and eating) these recipes – all for you guys?! But no worries , it’s all in the plan: to make up for the buckets of (unrefined) sugar this week, I’ll be sharing 3 (equally delectable) savory recipes next week, two of which are Whole30 compliant. We get the best of both on this blog – that’s how we roll (run) over here! 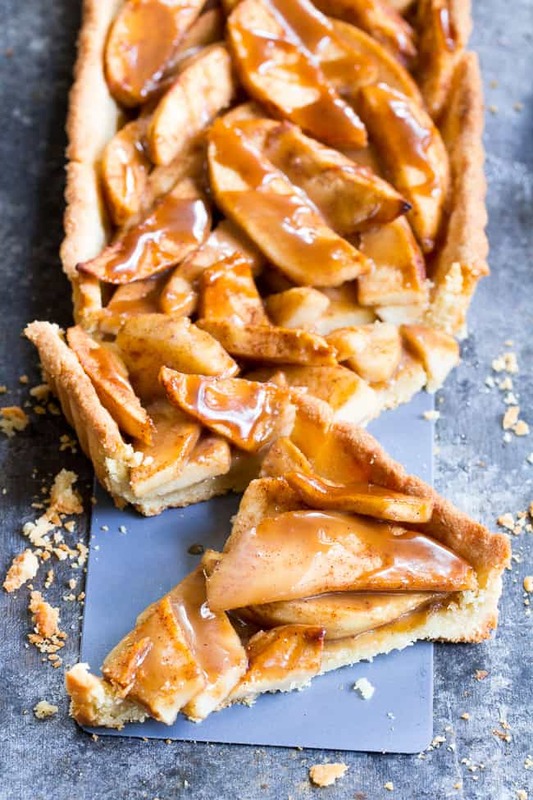 Now, eyes back on today’s prize – the salted caramel apple tart. This ridiculously tasty apple dessert was brought to you by the fact that I’m too much of a coward to make an actual paleo apple pie with a lattice top. I will try it one day, I will. Working up the courage, it’ll happen! 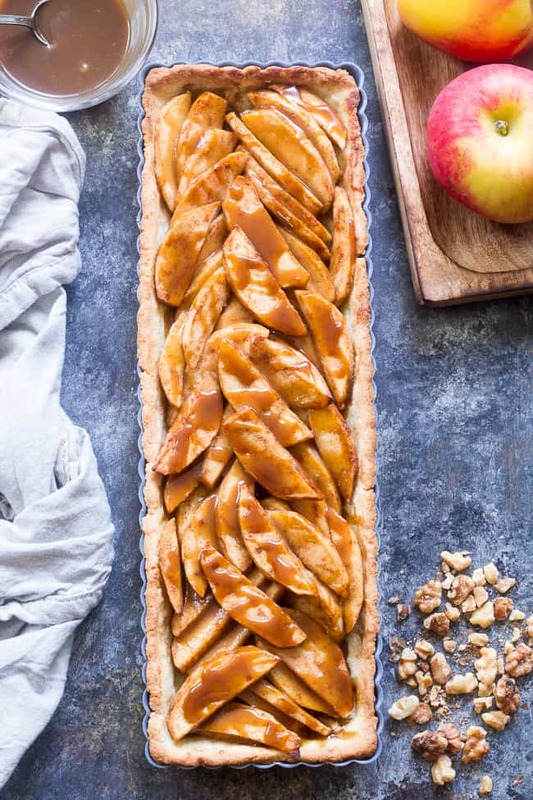 Anyway, I’m not sure which part of this apple tart is the star of the show. It all begins with a pastry crust almost identical to the one I used for my pumpkin pie. It’s a slight variation on my basic pie crust recipe that seems to work like magic for everything I need it to. For the fat in the crust, you’ll see in the ingredients that you can use either palm oil shortening (for completely dairy-free) or grass-fed butter, or a combination of both. 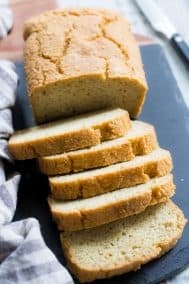 I’ve been using a combination of grass-fed butter and palm oil shortening and it seems to be the best of both worlds for flavor and texture. The only fat I don’t suggest using is coconut oil – unfortunately it creates a greasy yet crumbly texture – so sad – since I love using coconut oil whenever I can. As for the filling, we have thinly sliced pink lady apples, a bit of tapioca (or arrowroot) as a thickener, some coconut sugar, lemon juice, and spices! 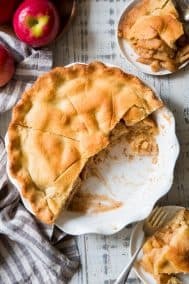 I use this organic apple pie spice from Primal Palate and love it, but feel free to use whichever spice blend suits you. But maybe we should discuss the elephant in the room? The dairy-free and paleo salted caramel sauce?! Now, if you’ve been following my blog for awhile you know I like to use this caramel sauce (or some variation on it) quite often. Now, are you ready to get started?! I can’t wait for you guys to try this one! Let’s start baking! Combine the coconut milk or cream with the coconut sugar in a small saucepan over medium heat and whisk, bringing to a boil. Once boiling, continue to whisk and cook over med heat for about 5 minutes, until the mixture is reduced, thickened and a deep caramel color. Make sure you continue to whisk while cooking to avoid burning. Remove from heat and stir in the vanilla and salt. Set aside to cool a bit until ready to use - you will need to gently whisk before drizzling over the tart. Remove dough from refrigerator and flatten as much as possible while in the plastic wrap. Unwrap and place in the middle of your tart pan - either a 9” round or 14 x 5” rectangle are perfect. Using a piece of parchment paper, press the dough into the bottom of the pan and up the sides. This dough breaks easily but also patches quickly, and if it softens too much you can chill for a few minutes midway. Place tart pan on a large baking sheet and bake crust in the preheated oven for 7-8 minutes, until the bottom is just set (it might puff up a bit, no worries). 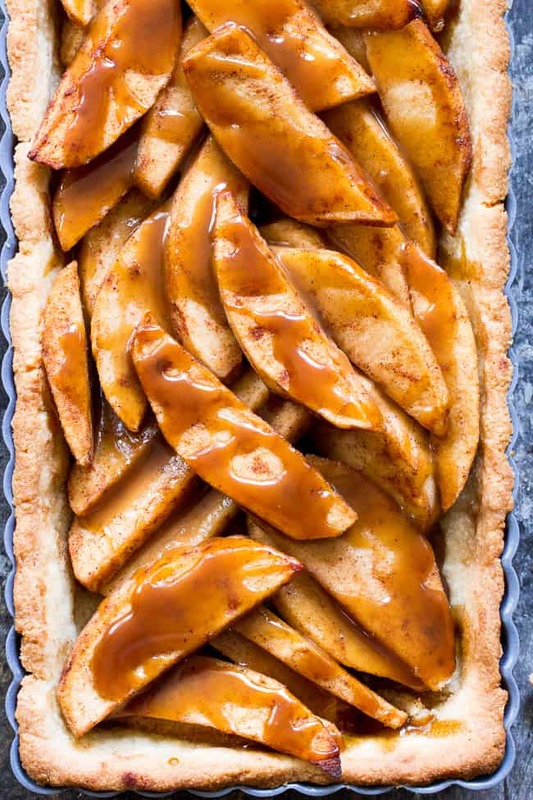 Remove from oven and immediately drizzle at least 3 more Tbsp salted caramel over the apple filling. 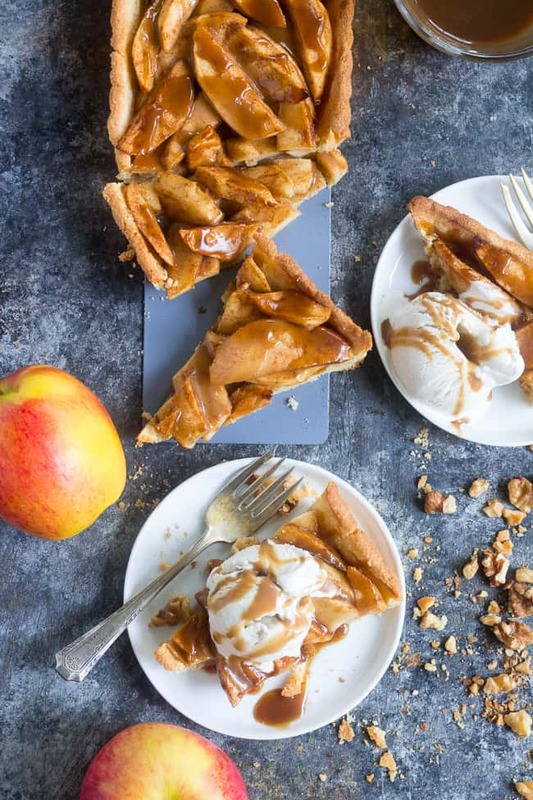 Allow to cool, then cut into slices and serve with a scoop of ice cream and any extra caramel sauce if desired. Enjoy! Want More Delicious Paleo Fall Baking Recipes? Try One of These! Have you made dairy-free caramel before? I am so making this…looks amazing! Thanks for your grain free recipes! I would like to try this one. Do you add the coconut sugar to the coconut milk and then heat? Or do you heat the milk first and then add sugar gradually as it heats? This looks so good! Might have to make it come holiday time. I see you switched to WP Recipe Maker. Love the look. Hello! This looks so good. We have an almond allergy in our family. Is there something I could substitute for that? I’m not sure of a 1:1 sub unfortunately. Just curious how you think it would turn out using a flax egg substitute? Michele~~your recipe turned out so delicious mmmmm good!! My family already asking for more!! Thank you for your recipes! That’s great! Love hearing about recipe successes and when the whole family loves it, that’s just the best! My carmel sauce broke down in fridge, should it not be refrigerated, or did I not cook the Carmel long enough? Just made this tonight, and my family devoured the whole tart, it was that scrumptious. Thanks again for sharing yet another amazing recipe.